It’s Fall and a Great Time to Install Solar! | West Coast Solar, Inc.
It’s Fall and a Great Time to Install Solar! Fall has begun, and we’re already starting to wonder where the year has gone. It’s unbelievable, but before we know it, we’ll be ringing in 2018. You might finally be realizing that those New Year’s resolutions you set haven’t gone exactly according to plan. Fortunately, there’s a way to redeem your efforts and get a head start for the new year by going solar now. So what exactly makes this time of year perfect for installing solar? The main reason why most people go solar is because it’s a great financial decision — you know you’re going to save on your electricity bills. However, the sooner you install your solar system, the more you’ll be able to save. Since the cooler fall season doesn’t require too much air conditioning or heating just yet, your home will inevitably be using less energy. If you have solar panels now, you’ll be able to produce power and store what you don’t use with a home battery, or take advantage of net metering. This will earn you money that you’ll be able to then use for times of the year when your energy needs are higher. 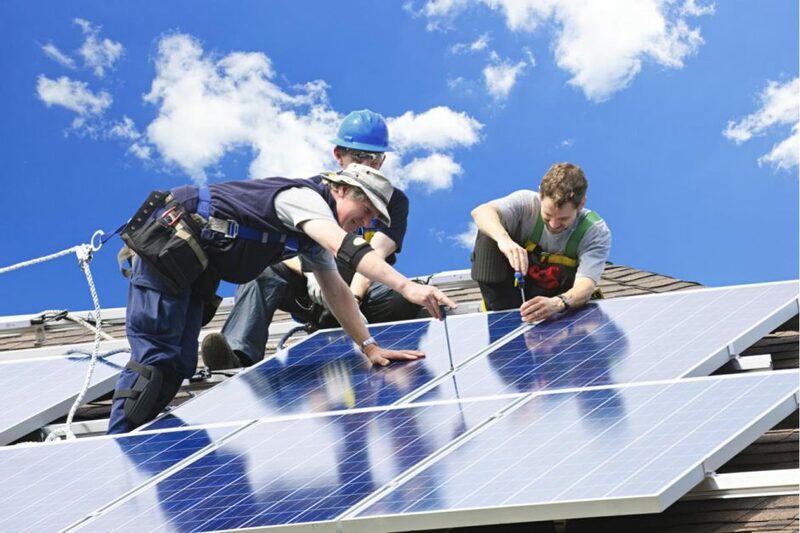 Installing solar panels when it’s scorching outside is difficult, but during the fall when the temperatures start cooling down, it’s much easier to install. Since your roof will be cooler, your installation will be completed much more quickly. Also, since solar panels are slightly more efficient in lower temperatures, your system will actually be producing a bit more power during the cooler seasons. Installing your solar system this fall will allow you to redeem your 30% federal tax credit when you’re filing your 2017 tax returns in the spring. However, if you wait until the new year to install your system, you would only just receive that money back in 2019. So by installing now, you’ll already be able to take advantage of that 30% back much sooner. If you’ve been thinking about going solar for some time but just haven’t gotten around to it — fall is the perfect time to finally make the switch. At West Coast Solar, we’re the local installers and experts in the greater Sacramento & San Francisco Bay Area. Our team can handle everything from the initial assessment to getting permits and helping you choose a financing option. We’ll make sure you’ll be able to take advantage of all the benefits solar has to offer right away. Think you might be ready to finally go solar this fall? Call (844) 492-7652 or contact us to schedule your no-cost solar assessment today!